Come to Luck Media & Marketing first to make sure your project is at the highest level possible before you take the next steps. You only have one chance to make a great first impression. Most artists need an experienced outside influence to advise them from making costly rookie mistakes. Steve Levesque/Luck Media secured for Miley Cyrus (pre-Hanna Montana) an endorsement with Daisy Rock Girl Guitars. 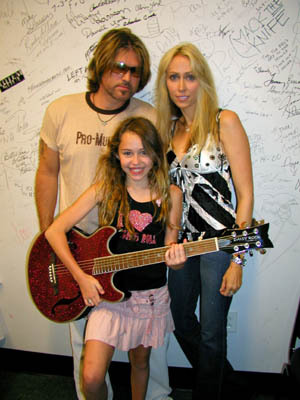 Fun Fact: Steve’s wife drove Miley to her Hanna Montana audition at Disney!